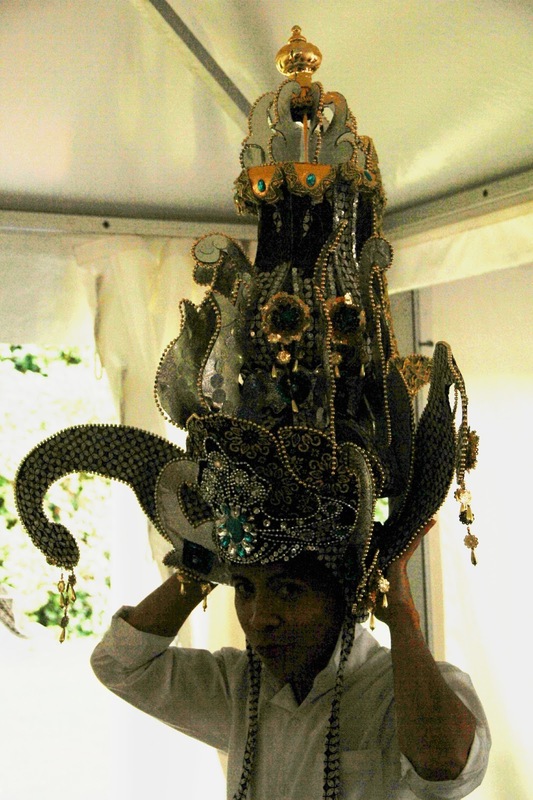 Indonesian Outing, an Indonesian-themed summer (wet one) party was hosted by Indonesian government, held in Büdingen castle, located 50 km north east from Frankfurt. 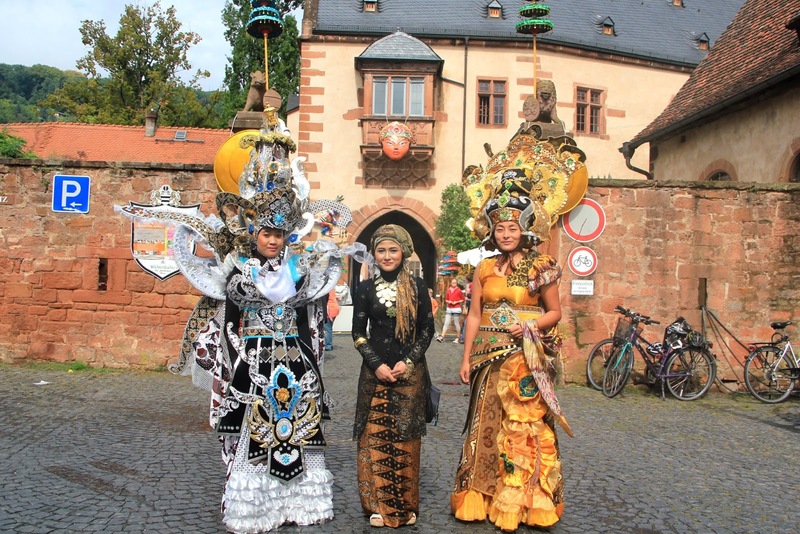 And as I wrote about Büdingen, I knew it would be a groundbreaking event, amalgamating rich-in-history old German city and rich-in-diversity Indonesia. When I saw a fabulouss hat, I couldn't help but try it on! The fact that the title of this event is "Die Indonesische Landpartie", Indonesian Outing, I didn't see much about Indonesia. I couldn't fathom why. There were Pina Colada stand and Sari clothing and fur/leather counter, a few numbers of classic automobil proudly swank in a defilé, which are not Indonesian. But I suppose, that Indonesia is just the main theme, with an Indonesian designer showing her creation a la fashion show. 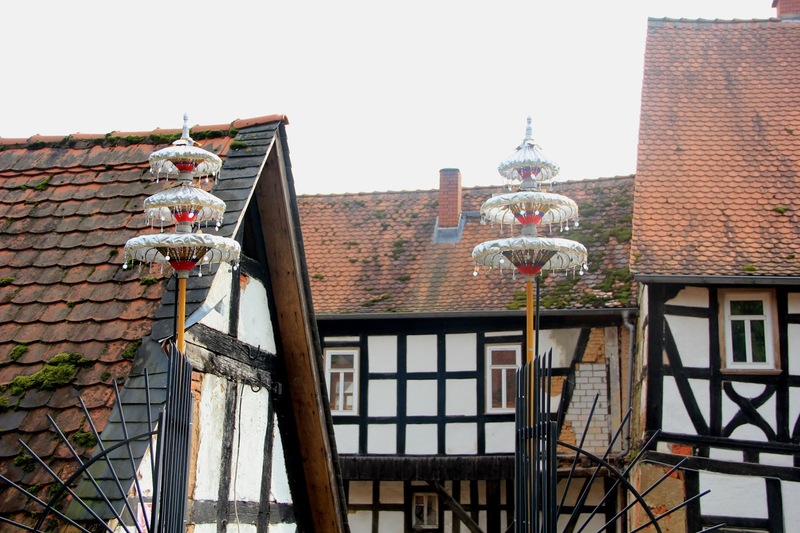 And the purpose of this culture gathering (as I prefer to call it), that togetherness and respect to each other, juxtaposing various culture in such a single historic place as Büdingen castle, is so important in a multicultural country as Germany. 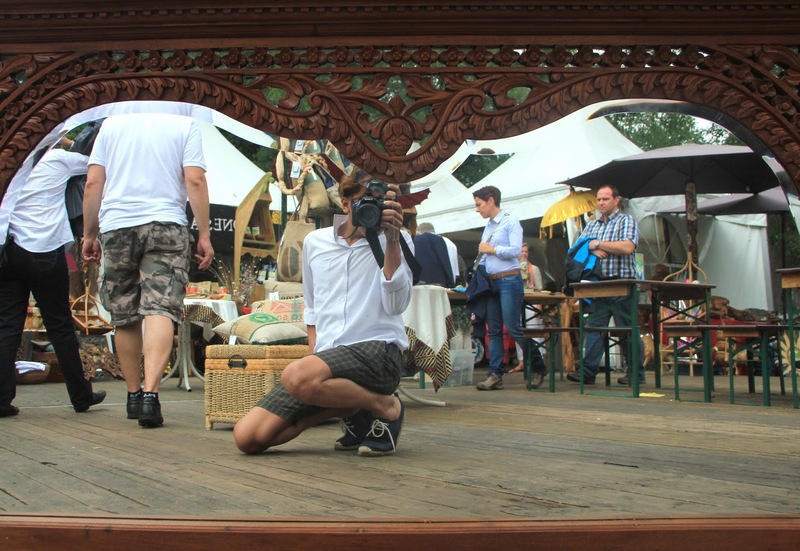 As any other Indonesian native in Germany, I was expecting more. I am fully aware that so far I was successfully eschew myself from Indonesian community in Frankfurt, especially with my peers in academic field, not to say that I stave off from developing a camaraderie, but simply to escalate my ability in German language (contemplating the tendency to speak my native language when I am with them). And yet, as an exotic culinary aficionado, my disappointment of the absence of traditional Indonesian food (Gado-Gado? Rendang? Pecel? Where were you all?) was cured by meeting with many Indonesian folks. At least my sore-throat was relieved, that I spoke Indonesian a few sentences. And tasting the most expensive coffee in the world was such a special treat to my forlorn self. Signorfandi, Oh I miss Indonesia!